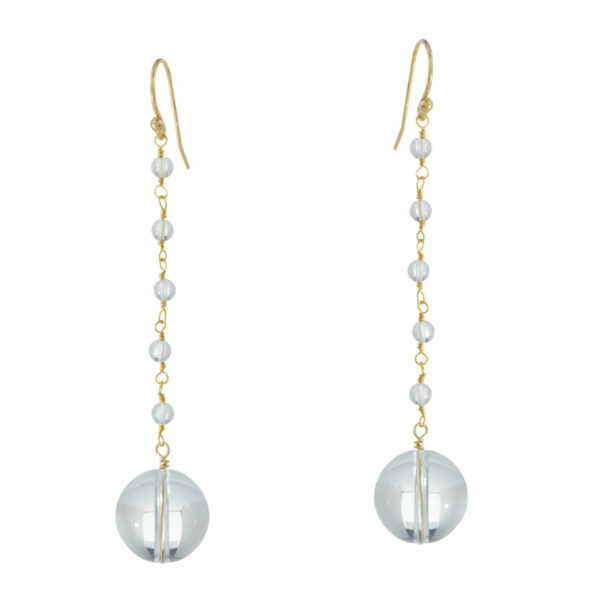 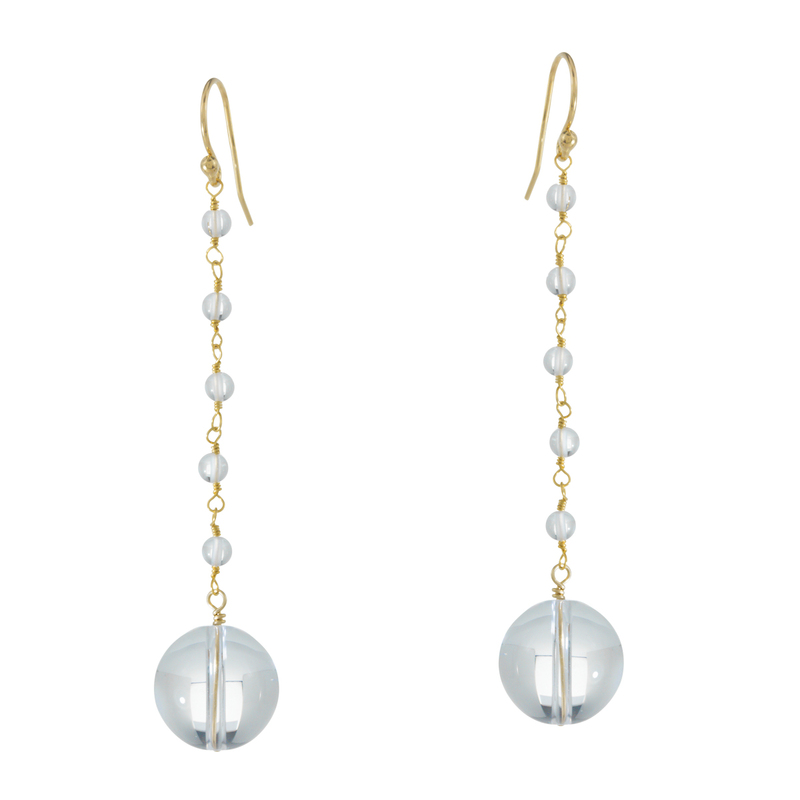 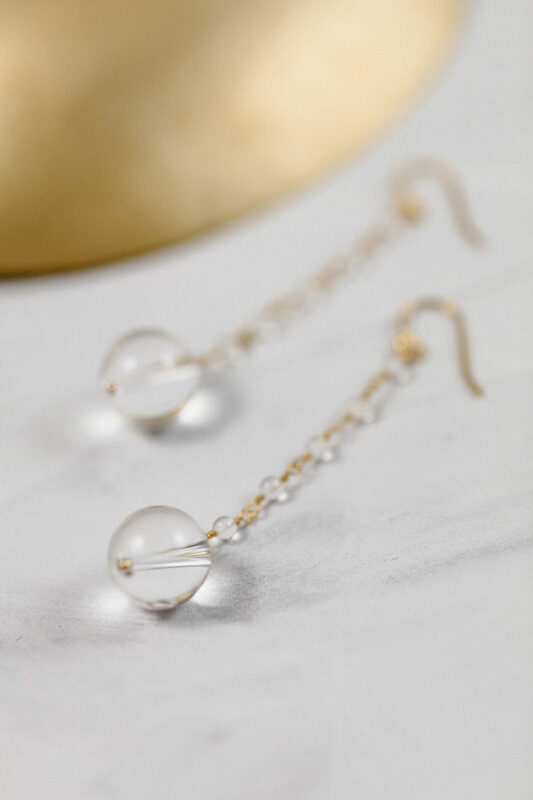 These long earrings feature five small and one larger clear quartz crystal to successfully balance clean chic and extravagance. 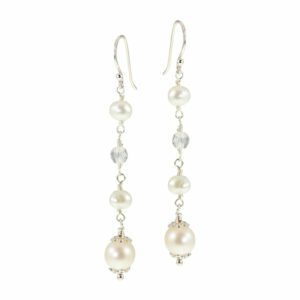 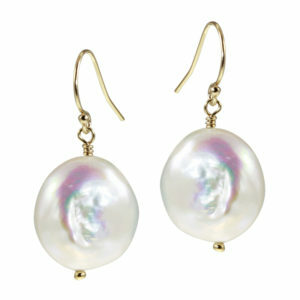 Because of their length, they are a real eye-catcher despite their clear design. 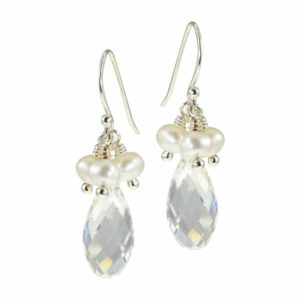 This is an ideal choice for any bride who is looking for unconventional yet elegant jewellery with real appeal.